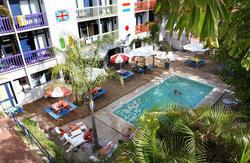 The Billabong Backpacker Resort is one of the best hostels in Perth. It has an amazing swimming pool and outdoor entertainment area. We are one of the only hostels where all our rooms have ensuite bathrooms (even the dorms). All rooms have lockers, air conditioning, and you get a free breakfast included. At the Billabong you can choose from singles, twins, doubles, and 4 and 8 bed dorms. We also do female only dorms. 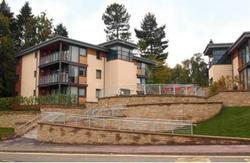 All rooms come with an en-suite, lockers, linen, heating, air conditioning, and a balcony. Some of the other facilities include a pool table, cafe, a beach volleyball court, Foxtel, a TV room, book exchange, and beach shuttles. Catch bus 21,22,67 or 68 from outside the museum. Exit the bus at the first stop past the park and Bulwer St intersection.